If as a parent you are struggling to keep your head up with various academic issues related to your child the best thing that you would need a school management system. These days, life has become really fast and speedy, and as such parents find it really hard to be on top of each and every school-related communications of their children. It is very important for schools to have parents that are responsive. This allows them to work in an effective and efficient manner. However, families are caught in the crossfire between family life and the work that they need to do keep their fire burning. These days, the amount of families who have both parents working is on the rise and this is why everyone – the schools and the parents – would understand the true value of a school management system. children are doing in their school as well as the various events that they are supposed to take part in their school. A major example, in this case, would be the various reminders that the school management provides to the parents regarding anything that may be important to the children. system comes in so handy. 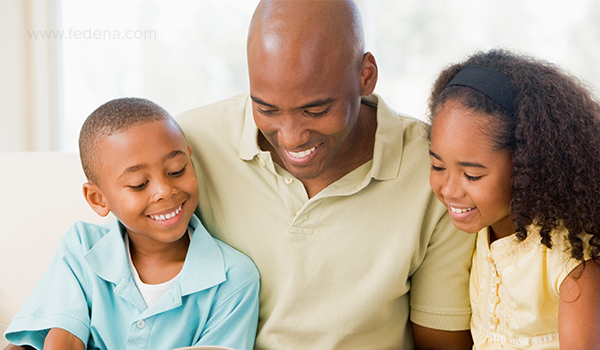 Ideally, parents need communication that is not long and is able to grab their attention within a short span of time. It is ideal if it comes to their mobile phones and this is where school management software or a similar app can serve the purpose to such an extent. In case of most of the smaller schools out there the amount of resources and technology that they have is limited. This is why they are always on the lookout for solutions that enable them to engage the parents of their students. This is where they are helped so much by ERP software. In any case, there has been a significant amount of decline in the web traffic as most of the people are used to receiving their content on the various mobile devices that they use. The question that needs to be asked in this case is what can a school do – especially a small one that has limited access to resources? This is where they can be helped by the enterprise resource planning software for schools that we are talking about over here. The new software for schools has basically revolutionized the way the schools are being managed these days. They include facilities such as mass texting services that can be so useful for the schools. The parents also need not worry as the messages are rather easy to access and then read. This also helps the school administrators save significant amounts of money and plenty of time. However, it would be wrong to assume that these services are only about mass texting. There is much more to them. They have a number of other parent notification and communication services as well. This is the reason why you can say justifiably that the present day software for school management is a unique one in every sense of the term. They provide services such as mass text communication, teacher and class updates, accident and incident reports, parent conference schedulers, and auto school reminders to name a few. It can be said that these tools go a long way in making sure that the parents are involved to a greater extent with the school activities of their children. With the help of such online school management system, it is possible for the smaller schools to manage their resources that they struggle so much to manage. It helps them save money as well as paper. In fact, they can also use it to change their way of working to suit the mobile generation. In fact, you can always get in touch with other schools that use these systems and find out from them as to how they view them. You would invariably find it that they are rated highly by the ones who are using them. They would tell you how quick and convenient it has become to communicate with the parents, thanks to these systems. What do the parents feel? These schools would also tell you that ever since they have started using these systems they have seen perceptible changes in the way and extent to which parents are being involved with what their kids are doing at the school. They feel a lot better in terms of engagement and involvement. In fact, these systems help the staff working at the schools as well and this includes the teachers as well. It also helps that these systems are pretty easy to install. More than anything else, these systems always help the schools improve their communication with the parents. This is perhaps what matters the most in exchanges such as these. In many ways, these systems can be called the kind of one-stop solutions that schools are looking for in order to stay relevant and improve their functioning in this day and age. They can be defined as student information systems and it is their integrated nature of functioning that makes it so easy to operate them. They basically have all a small school can need. They can help the schools communicate with the parents and the students as well, in case the need arises. They can manage all the information related to the students. The fact that they come as mobile apps only endear them further to the parents, students, teachers, and just about anyone else. With the help of these systems, schools can also perform basic functions such as taking attendance of the students, as well as the teachers, put in the grades, and then send across the report cards to the students. These systems also make it possible for them to stay updated with various other statistics and information that are of high importance to them. It is not that only the small schools would need such a system. Even a bigger school could need it as well. As such, you need to find the system that is perfect for the kind of school that you are– it should be tailored specifically to meet the kind of needs and requirements that you have as an educational institution. Normally, if you are a bigger school you would need a system that is full of features. In any case, you would have the means to hire a team of technology experts in order to deal with the system properly enough. As a smaller school, it is mainly your teachers and administrative staff who are dealing with the system. As such you would need a system that has fewer features and is thus easier to deal with. The best of all of them are ones that can be customized in order to meet the needs that you have as an educational institution. Normally, the smaller schools need systems that can be implemented easily and within a short span of time as well. Schools always have a budget to work with – no school is outside this purview – and as such, they need systems that help them operate in a financially rational manner. This is where these systems can come in and make such a major difference. One of the best features of these systems is the online grade book. With the help of these systems, teachers are able to straightway enter the scores in the computer and the students are able to access them quickly as well.